Every year, high school grads walk away from billions — as much as $2.3 billion in 2017 — in free federal grant money that could help pay for college, according to NerdWallet. For a printable version of the above infographic, click here. Tax returns for you and/or your parents. 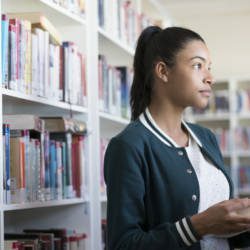 The IRS Data Retrieval Tool lets applicants ask the IRS to release tax information directly to the Department of Education (ED), which can help avoid the scramble to collect documents and cuts down on time spent manually entering the information. FSA ID: The username and password needed to log in to some ED websites and electronically sign the FAFSA. Make sure to keep this in a safe place, as you’ll need it every year you re-apply for financial aid. Asset records for you and/or your parents. 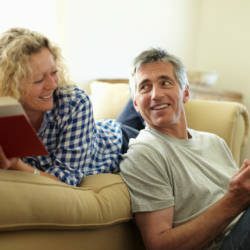 These include bank statements and investment records to show your current assets (or, if you’re still a dependent, your parents’ assets). Social Security numbers (SSNs) for you and your parents, unless you are an independent student. See below if your parents are undocumented. Federal school codes for the schools you will be applying to, available at fafsa.ed.gov. I’m not going to fill out the form because I’m not eligible. “That is not correct,” says Coval. “If the student thinks they are going to borrow at all, they need to fill out the form.” Remember, she adds, not all financial aid is need-based. Unsubsidized loans also require that you fill out the FAFSA. My parents make too much money, and I won’t qualify for aid. Most applicants qualify for some aid, regardless of their parents’ earnings. The FAFSA actually has no income cap, so you can apply no matter how high your family income. FAFSA is only available for federal aid. “A lot of the states and institutions will use FAFSA data,” Coval notes. 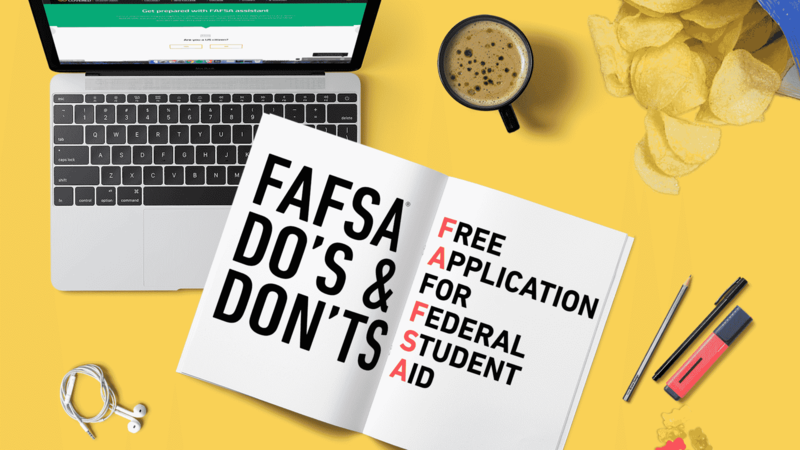 “So if you don’t qualify for something at the federal level, maybe you’ll qualify for something at the state level or the institution level.” Filling out the FAFSA also qualifies you for other types of aid, including grants, work-study, scholarships and college aid. The FAFSA is too complicated and hard to fill out. On average, it takes about 30 minutes to fill out. Plus, the government is continually working on improvements to the application process. The FAFSA has been streamlined, especially online where the application uses skip logic that will skip over unnecessary questions. I’m not eligible for a student loan because my parents are undocumented. Having undocumented parents should not prevent students from filling out the FAFSA. 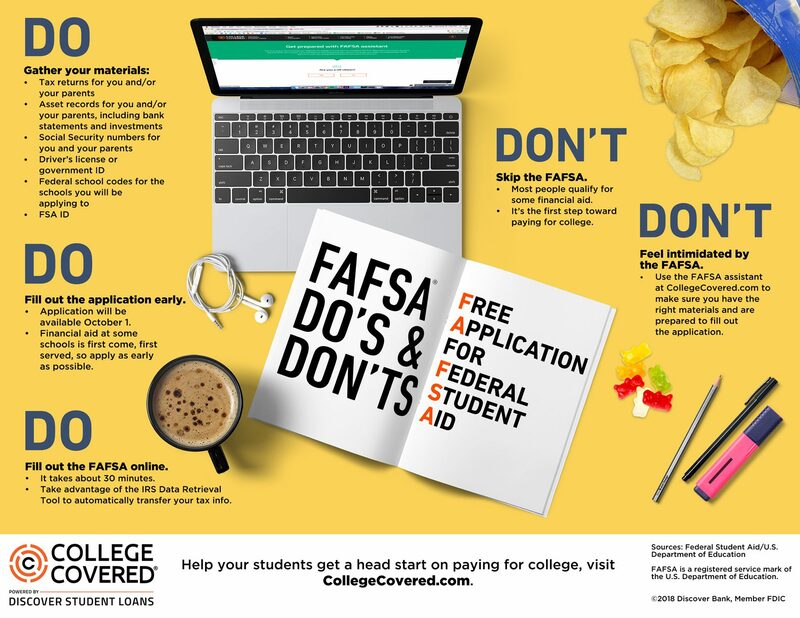 “So long as you are a U.S. citizen, permanent resident or eligible noncitizen, you can fill out a FAFSA,” says Marie Groark, director of Get Schooled, an organization that runs a texting hotline to help students get into college. If your parents are undocumented, just fill out nine zeroes (000000000) where it asks for their SSNs. If you get an error message, keep hitting the Next button until you advance to the next page. When you reach the end, you will have to click the Submit button several times if you get the same error. If your parents didn’t file a tax return, your school may require you to submit a Non-Tax Filer Parent Statement or Income and Expense Report. If your parents don’t want to submit their financial information, you can indicate on the FAFSA that there are special circumstances. This will allow you to complete the form without those details. You will have to contact the financial aid office, however, to provide documentation. Apply here to get your FSA ID. Try out Discover’s FAFSA assistant to for help completing the application. Visit fafsa.ed.gov to get codes of the schools where you want to apply. Visit the FAFSA4Caster for an estimate of what type of aid you can get.